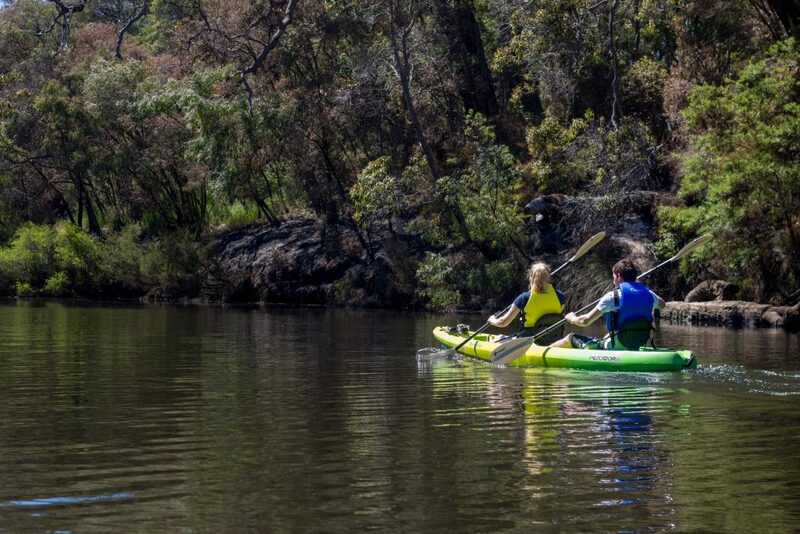 A few years ago, my friend Paul started his own tour company that takes guests all around the Margaret River region in search of adventure, gourmet food, and wine. 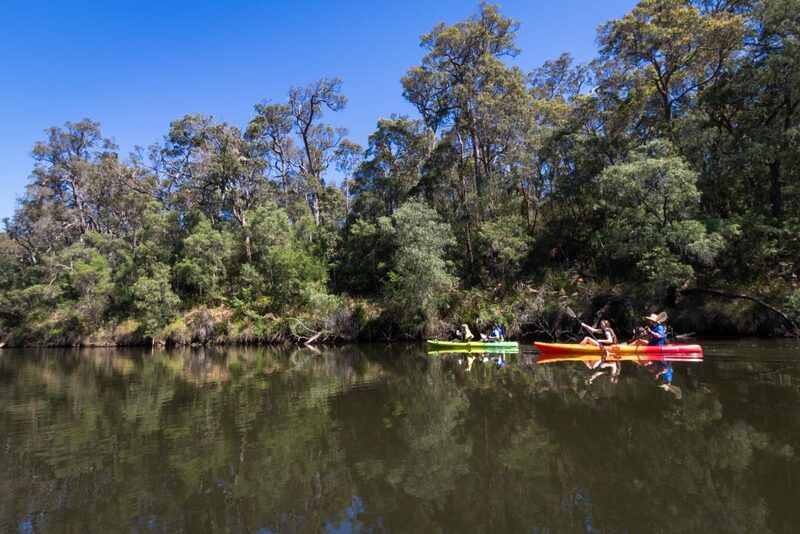 This is a strange deviation from the standard Margaret River tour companies, who usually offer luxury wine and food tours, or tours of simply the adventure variety. 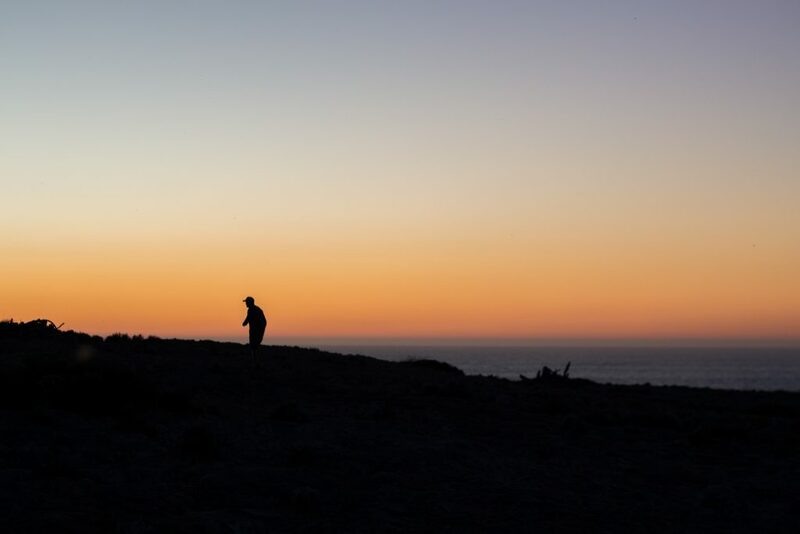 Until Surf’n’Dirt Adventure Tours, there wasn’t really a mix of both. After three years in Western Australia, I’ve started to call Margret River my second (third?) home. 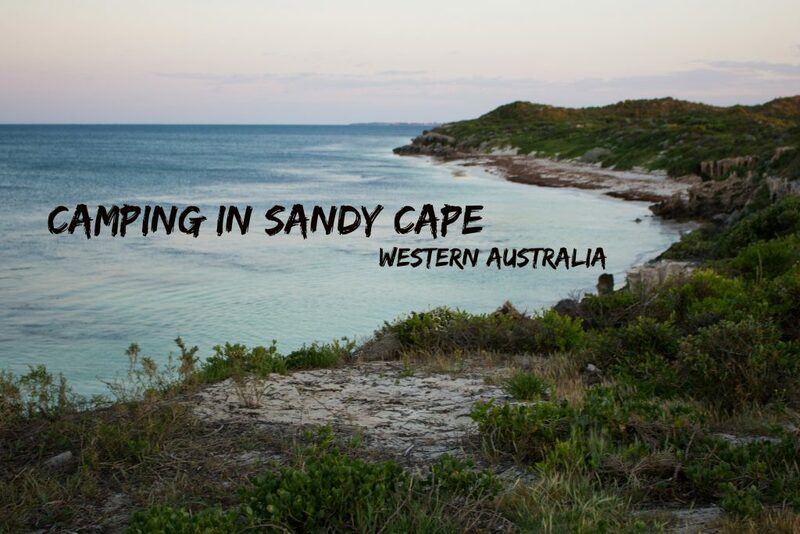 This stunning region is the reason I bought my beloved campervan and is the go-to place on weekends when there’s even so much as a ripple of a swell rolling through. After countless trips down to Margaret River, I thought I’d seen the best there was. 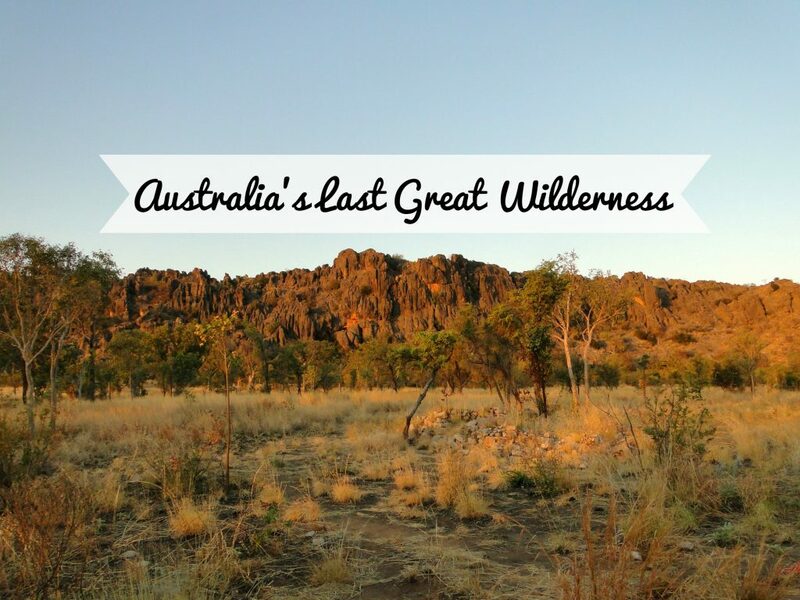 A few months ago, my dad came to visit me in Western Australia – a state I knew he’d love if only he made the effort to see it. 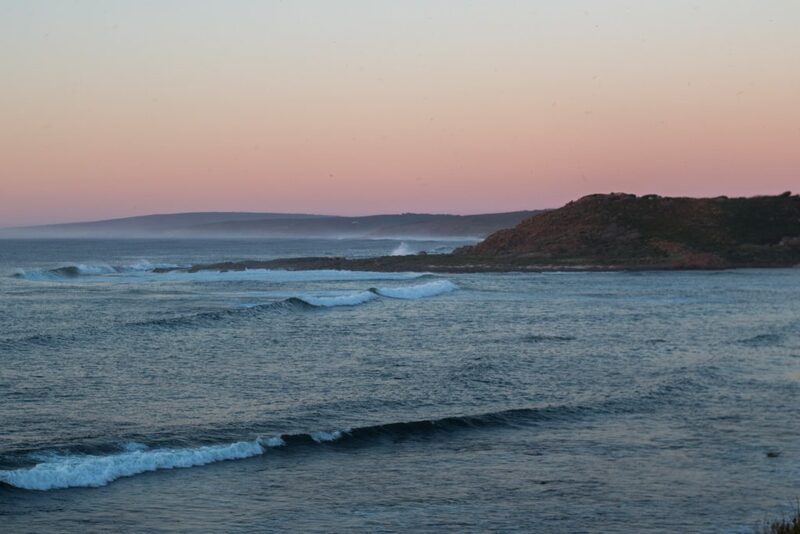 My dad and I both had shoulder injuries, making a purely surf trip down to Margaret River out of the question. Still, we wanted to go down and have a bit of an adventure. 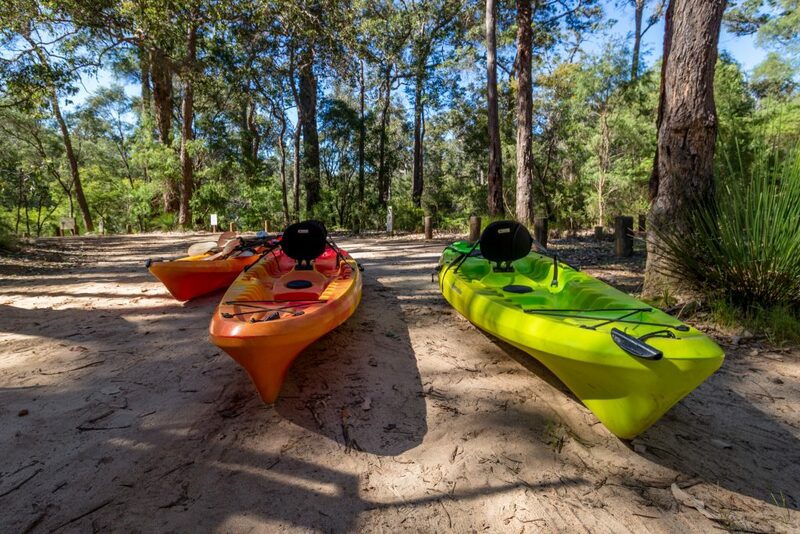 We signed up for the kayak and gourmet food tour, an all-day experience that would take us through the Boranup Forest and to boutique eateries around the region. Five other tour group members joined in on our little expedition and we drove through the thick karri forest to the Blackwood River. One by one, we launched the kayaks into the still river. The water mirrored the surrounding trees as we paddled through the muted-green forest. Birds of all types chirped on the banks. I prayed that my dad’s shoulder wouldn’t start hurting — It’s not going to be a pretty sight if I have to paddle us both back to shore. 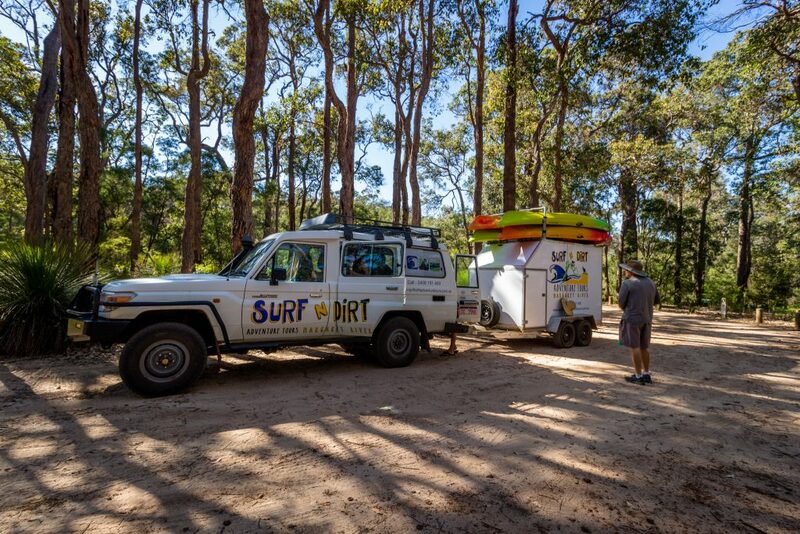 We turned back after a few hours and hoisted the kayaks back onto Paul’s trailer with his self-made pulley system. Then, Paul laid out a platter of snacks and toppings for all-you-can eat D.I.Y. sandwiches and fresh potato salad. The food was so good, even the mosquitoes were pining for it. Fortunately, they feasted on us instead. “So, do we have to change our clothes to go to the wineries?” A guest asked. “If you want,” Paul replied. I looked down at my mud-splattered running tights and thought meh, if Paul is going to be bold enough to put the word dirt in the company name, I’m going to embrace the full experience. Adinfern Estates: The land owned by Merv and Jan once was used as a sheep-shearing property before it became the down-to-earth winery that it is now. 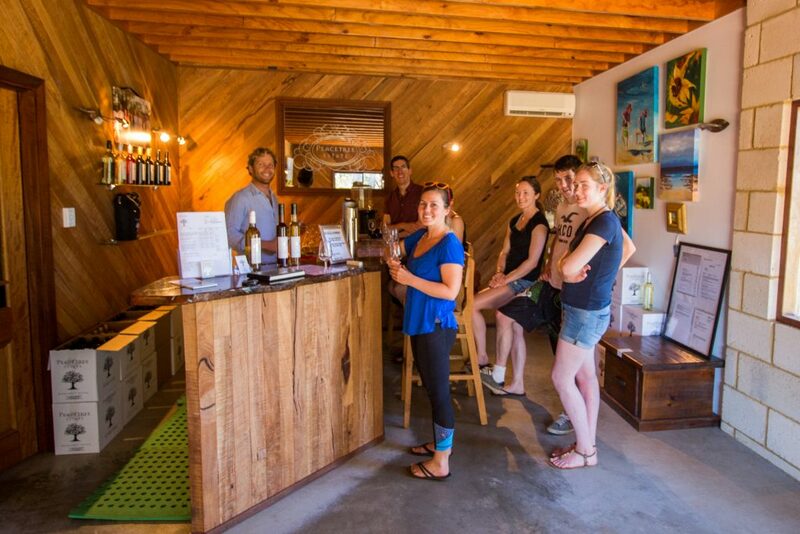 When we walked into the tasting room, the friendly staff member greeted us with a wine-stained smile — as if she wanted to see us! 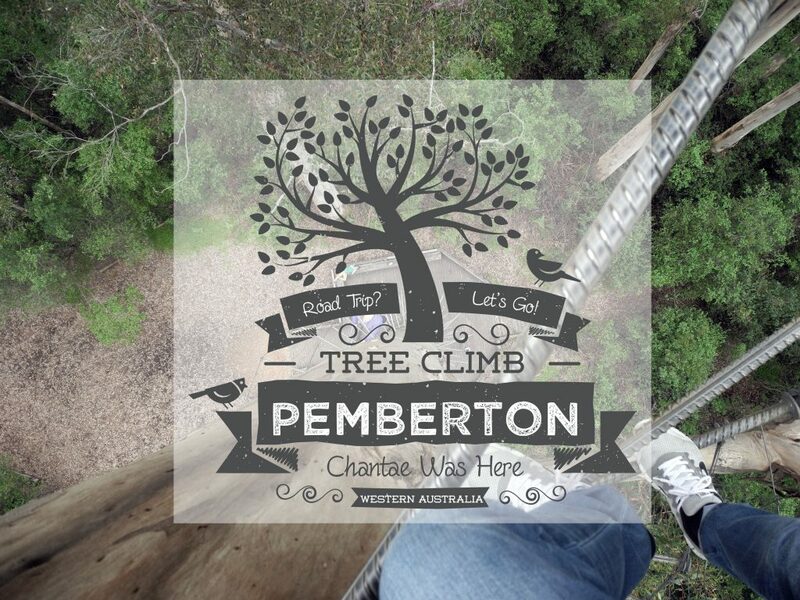 What a concept compared to the more pompous vibes given at Margaret River’s upscale wineries. Visitors can stay onsite at one of the winery’s wooden and cozy rammed earth cottages. Peacetree Estate: Unfortunately, everything is out to kill you. Plastic leeching, nitrates, online stalkers… the world seems like a pretty dangerous place, right? At Peacetree Estate, you can drink all of your worries away with an iota of less guilt than usual. All their wines are made as simply as possible, without heavy processing or additives. Though the winery advertises that there’s no preservatives, I’d venture to say that alcohol keeps you pretty well preserved. This family owned winery hand presses their own wine and sells Cabernet Sauvignon, Sauvignon Blanc, Merlot, Tempranillo and Pineau des Charentes. The tasting room at Peacetree Estate feels like you’ve walked into the home of an old friend. Bettenay’s: Two words: wine and nougat. Soft, chewy, sweet, and fun, Bettenay’s gourmet nougats are the perfect side to their delicious wines. During our time here, there was a small political discussion between the owner, my dad, and me while we sampled cranberry and pistachio nougat. Fortunately, the distraction meant that I could steal a few extra treats unnoticed. 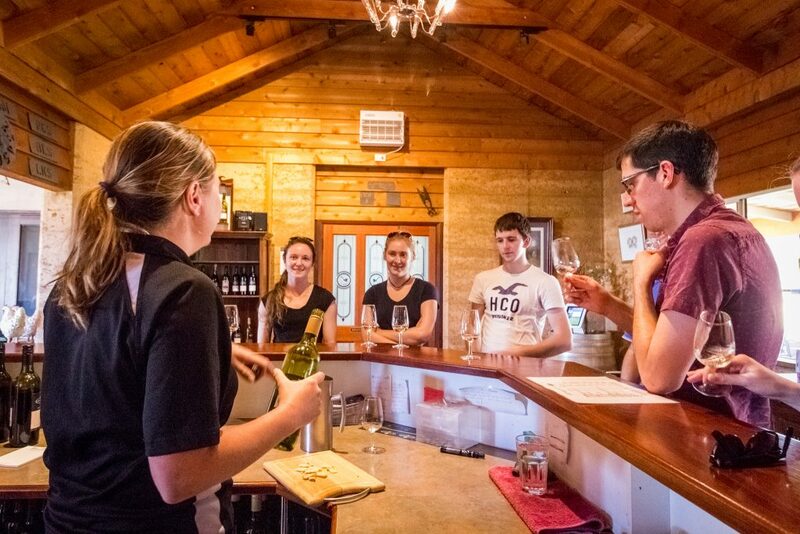 Bettenay’s hosts weddings, has villa rentals, and is known for their Chardonnay and Shiraz. You can enjoy your nougat and wine overlooking the property’s mirror-flat pond. Temper Temper: Who knew there was a place in Margaret River with more chocolate samples than the universally beloved Chocolate Factory? 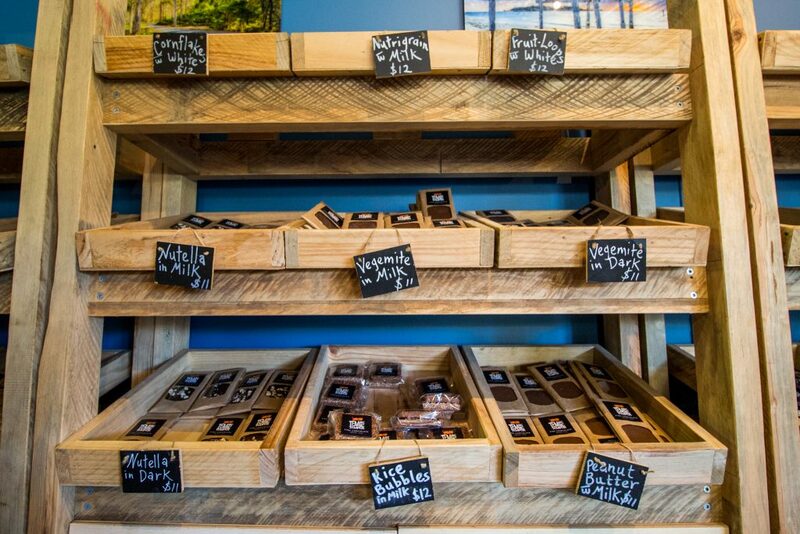 Temper Temper is a cute cafe and chocolate shop with a range of interesting sweets — like Vegemite milk chocolate, dark chocolate with pink peppercorns, and ginger dipped in milk chocolate. Maybe combining nature, sugar, and wine is why Paul’s tours are going so well? The business model is genius. Did I mention he sometimes he brings his puppy along for the tour, too? This tour really surprised me. 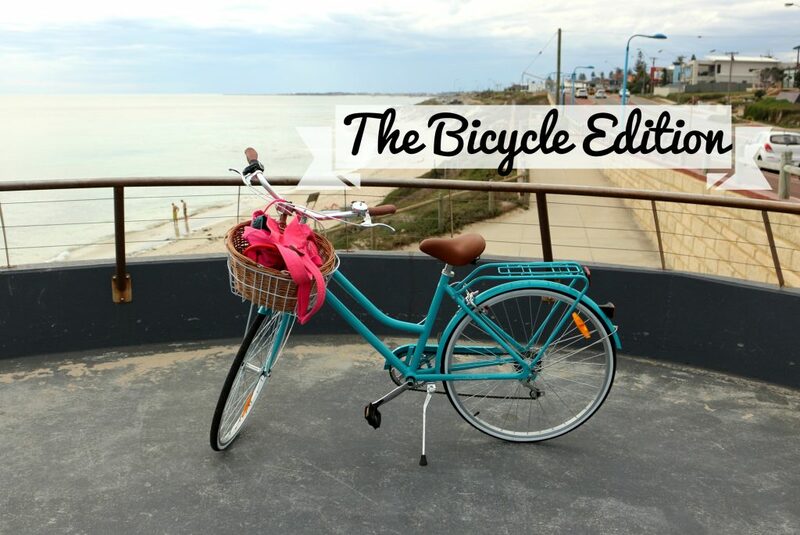 I expected to be taken to the typical Margaret River highlights – Vasse Felix, The Chocolate Factory, the actual river of Margaret River, and more. In reality, we went to boutique wineries that I’ve never heard of – that only sell through their cellar door. We had a few wine snobs on our tour who said this was the best wine tour they’d been on so far as well. The only negative moment? We stopped by the venison shop which obviously wasn’t a highlight on this vegetarian’s list. My dad and the rest of the tour loved it, though. If you’re keen to sample the taste of spiced Bambi corpse, you’ll likely enjoy this part too. 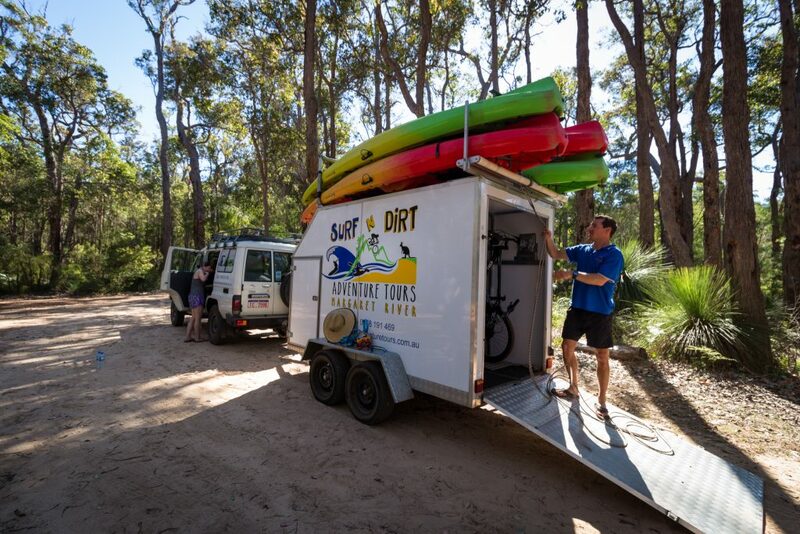 Tips for booking a tour with Surf’n’Dirt Adventure Tours: Paul runs multiple tours centered around surfing, kayaking, mountain biking, and winery-hopping. There is no set schedule of when they’re run so if you have a tour in mind that you’re set on, you’ll probably have to be flexible on dates. At the moment, he is having a Valentine’s Day special, so get on that! Do you have to be physically fit? The tours are generally for those who are moderately fit. 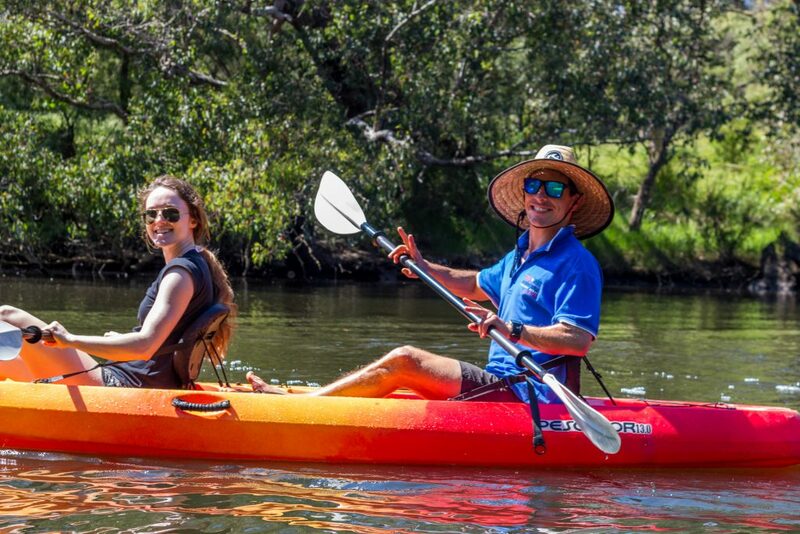 However, if you have a strong partner, the kayak and gourmet food tour is a great option because your partner can do most of the paddle work. Paul also does custom tours that can just be food related and sightseeing focused. Can we request certain wineries, sights, etc.? Yes! If there’s a winery or attraction you’re dying to visit, request it before your tour date. Since the group size is so small, it’s easy to adapt the adventure tour around specific things you want to see. Disclosure: I tagged along on this tour as a friend/very useless helper and not as a paying customer. Of course, all opinions are my own. Great article and pictures Chantae. That was a great trip. 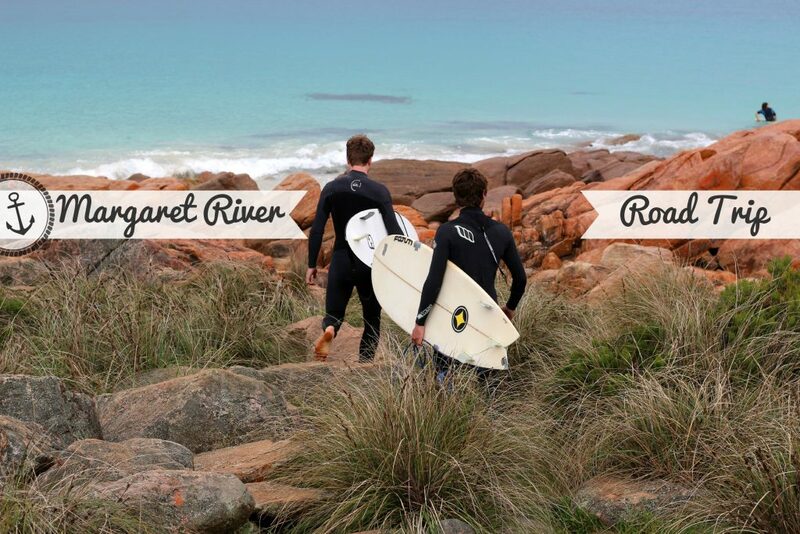 If anyone is considering going to Margaret River and has any concern, they need not worry. It is an amazing place. Went far beyond my expectations. The entire area is absolutely beautiful and the beaches are amazing. The wine is bloody good too. I now know why you love it there so much. Have to also mention that Paul is amazing host. Works extremely hard to make everyone feel comfortable no matter the skill level and really knows the area. The kayaking was superb. Thanks Dad! Yeah, his tour was awesome! Kayaking looks so calm and relaxing. 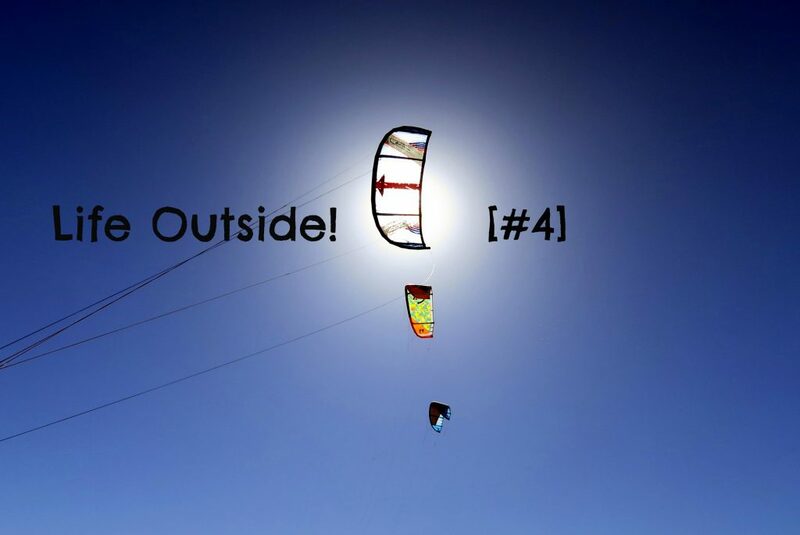 We tried that in Thailand but the scenery was completely different there. These pictures of kayaking make me want to go right now. Kayaking in Thailand would be so fun I bet! 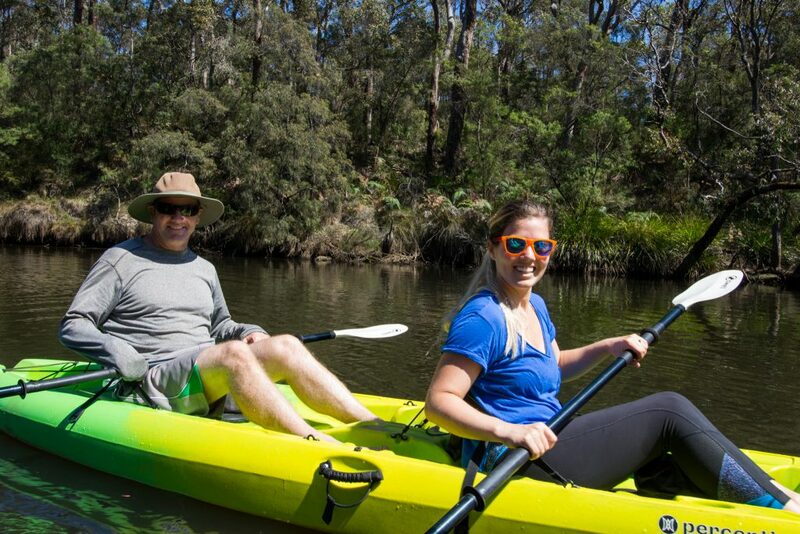 This tour looks so much fun, especially the kayaking. I’m not a surfer but I’d definitely give kayaking a go. I have family in Oz and I’m going to pass this on to them, they’d love it! Forwarding this to my fellow adventurers. This looks like a fantastic trip. Photos and write up great. Thank you for sharing this incredible experience and wish I could’ve been there. This is awesome! 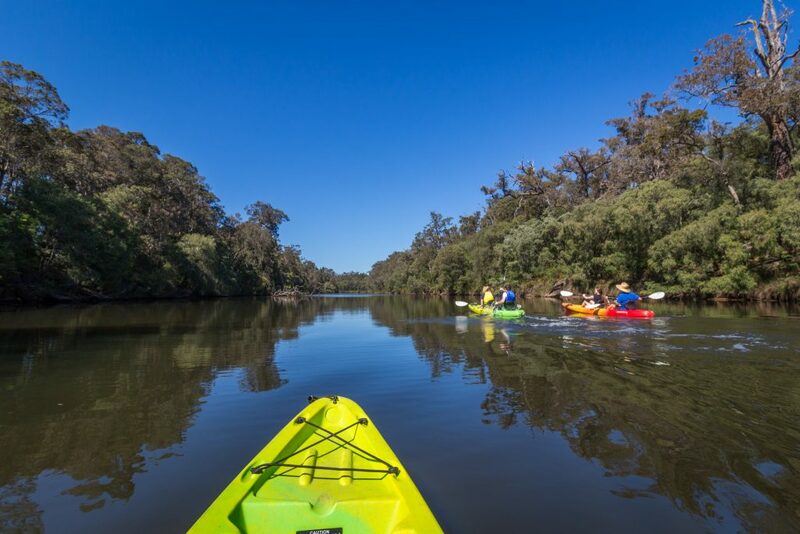 I agree totally with the noise and disturbances that surround us in our city life and to escape all this and to Kayak with no soul in sight must be just like getting back in touch with oneself!!! Wine being my favourite drink, I would have totally love with trip. If you ever go to WA, this seems like the perfect tour for you! 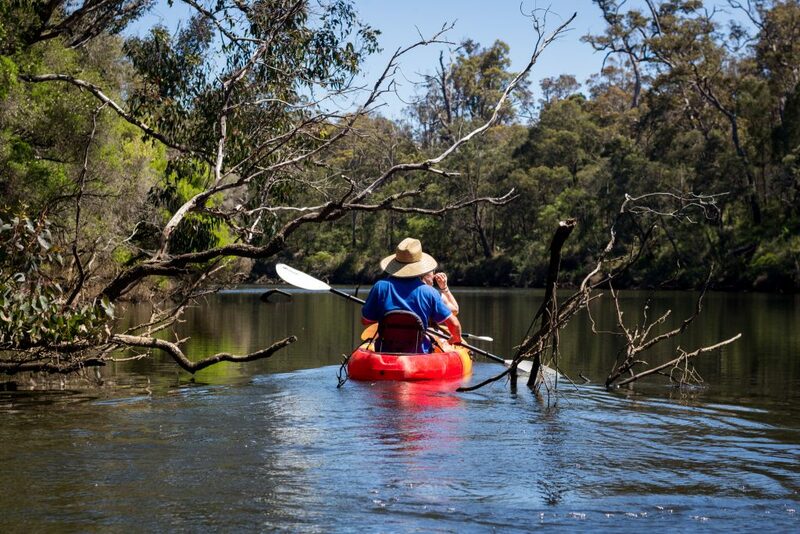 I would have loved to do some kayaking when I was in Australia, but unfortunately I ran out of time. I love your pictures… you all look so happy on them! I bet this was really a great adventure. Ariane recently posted…Ubud, Bali – You will love it … or not! Monika recently posted…Where to Eat & Drink in Belgrade? This looks like the kind of day/experience i would love to have. And i like that he put “dirt” in the name of the tour company haha, it is original. 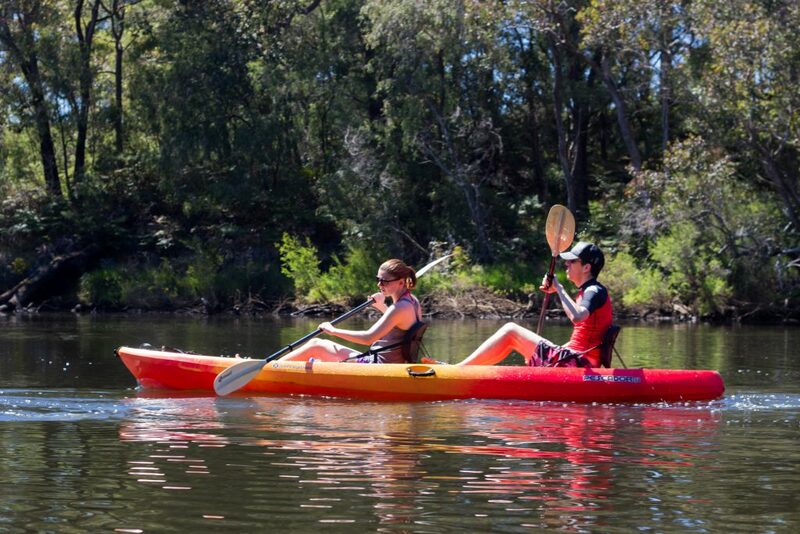 Kayaking, gourmet food and wine ? I’m all in for that , i’m sorry i missed out on this adventure when i visited Australia. Haha! My good friend is Australian and she says “no dramas” a lot. 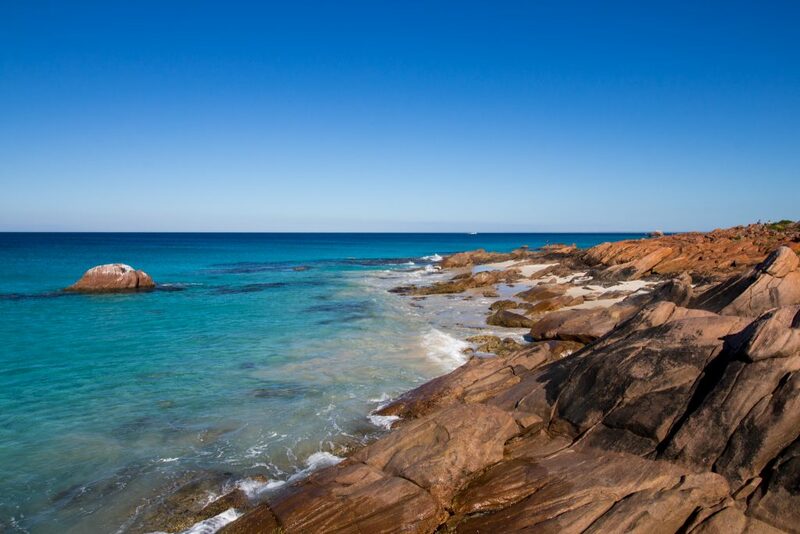 I have never been to western Australia, but this looks beautiful. I would like the chocolate at Temper Temper and probably the spiced Bambi corpse as well. I haven’t been kayaking ever, but this seems like a peaceful place to try it. It’s definitely the perfect place to try it. And haha, poor bambis! I am so jealous of you right now! I ve never done such a thing in a river. Only in the rough sea, but it seems totally different there. Also the bar seems very attractive and with great functionality (I talk as a bartender now…) It’s a pity it is so far from my home…! you’ll definitely have to come and try it over here, then! 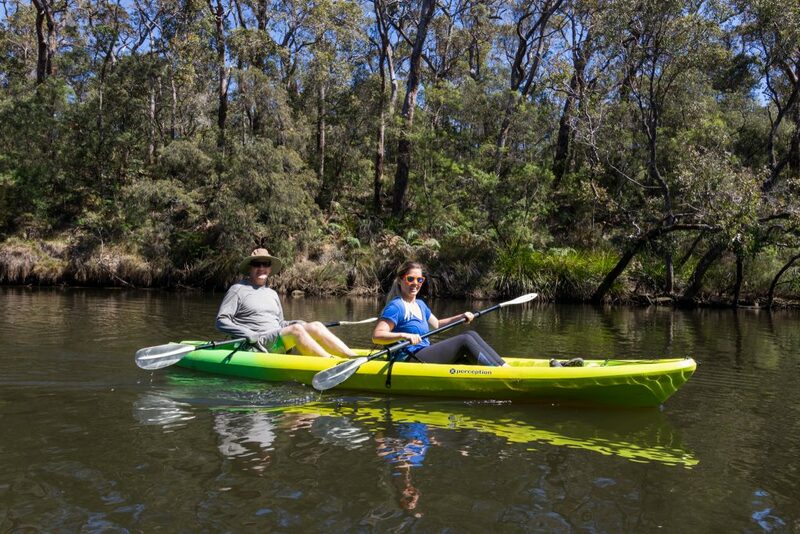 Love kayaking – will definitely try it when in Australia! This is such a coincidence. I was considering a trip here but due to some time constraints had to postpone it. It just slipped my mind and I am glad I came across this post. Great work Chantae. 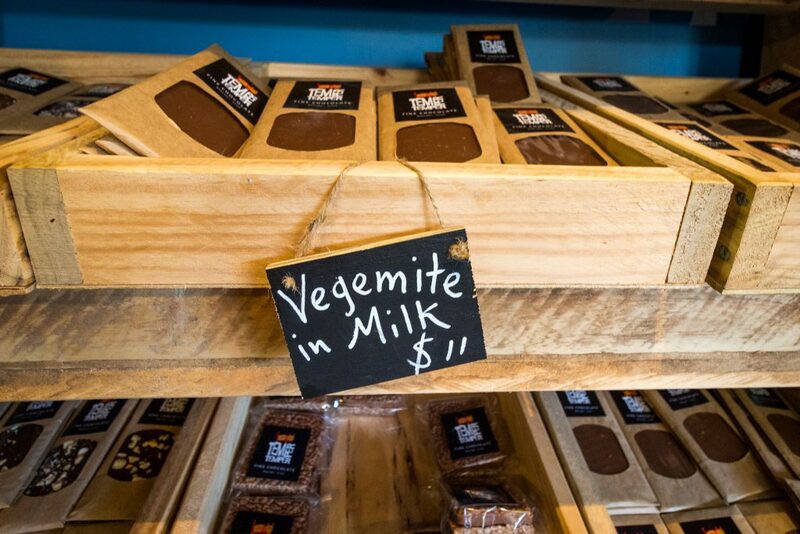 I have not tried vegemite in milk but it looks interesting. Wineries are my favorite places to see but this milk made me curious. I will make sure my friends read your article. I simply returned from my first trip to the dirt adventure tour. Everything you written are just how it has been in Margaret River so I have no surprises. The costs tend to be high but nonetheless very reasonable. Kayaking looks really fun. Never tried it ones. I will surely challenge myself next time.